Noting that this group comes from Alabama originally, expectations might stereotype that there would be a country or folk flavor to this record. Such tones are clearly there, be it in the use of the saw or the accordion as featured instruments or be it the title of the new album itself: Welcome To The Midnight Opry. But, fortunately, there is more to this album than one is led to believe. The Pine Hill Haints offer some other genres and throwbacks on their latest release. My two favorite tracks, “7 O’clock In The Evening” and “You Were Born To Suffer,” feel more like Buddy Holly tunes wrapped up in a more acoustic sound. Track five, “6 Angel Opera,” has a very singular-sounding reverb and echo for the vocals, which breaks up the flow of otherwise cohesive tracks. Just when it seems apparent where these musicians are taking the listener, they make an experimental pit-stop, and this prolongs the appeal so that it lasts throughout the entire work. “Red Light” is another number that sticks out amidst its fellow songs, with its Louie Armstrong meets Harry Belafonte vocals over a twangy parlor guitar, and “Carols To Crack the Ice” feels like a lost Neutral Milk Hotel song — pared down, of course, and with less fuzz. “Crime Part 2” starts with a short psychedelic rap, but finishes with a seemingly live spoken introduction from some stage announcer. This odd song leads in to an ven odder one, “Ghost Town,” which, noteworthy in title, achieves an eerie presence by combining a child’s voice on lead vocals with a distorted piano carrying on alongside. “Spine-chilling” is almost not enough of a word for this song, but amidst that, this tune remains an attention-grabbing piece, which therein claims artistic success. 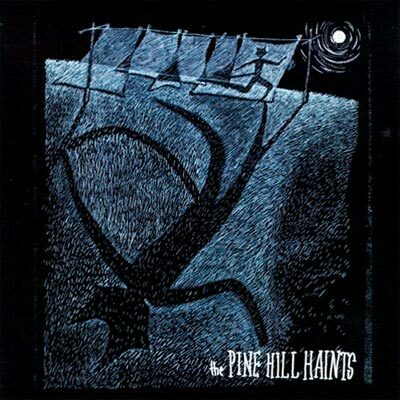 It is difficult to pin The Pine Hill Haints down to one overarching style; instead they now occupy my mind as the indie-jug-pop band, performing numbers that walk the line between creepy and cool. The songs a la carte could easily be applied to various music families, but with all the tracks threaded together into one album, the classification gets messy and the barometer goes haywire. I have to give these guys credit for keeping me guessing; that is entertainment in and of itself.